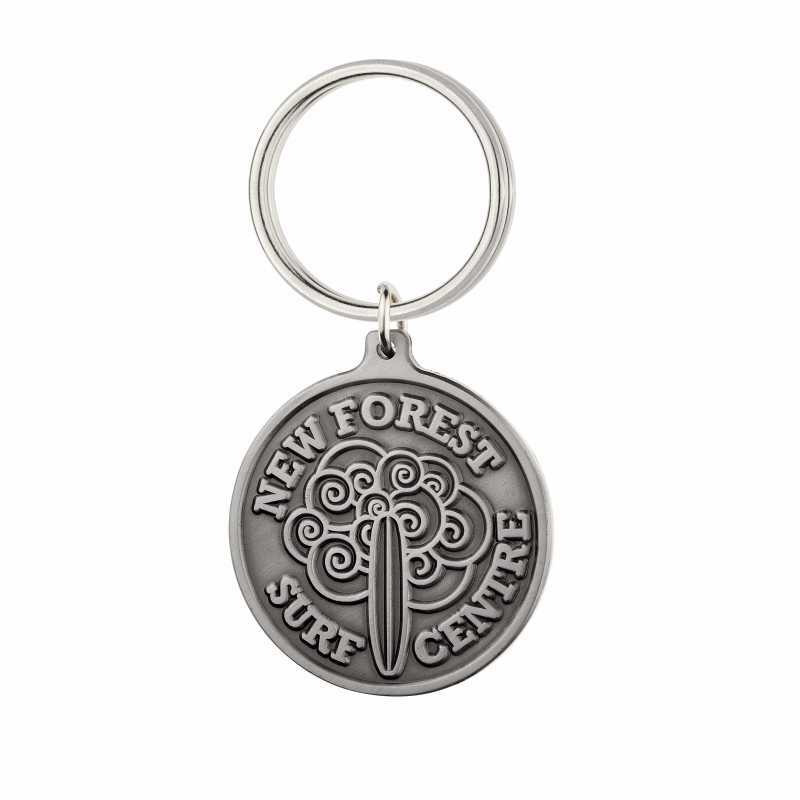 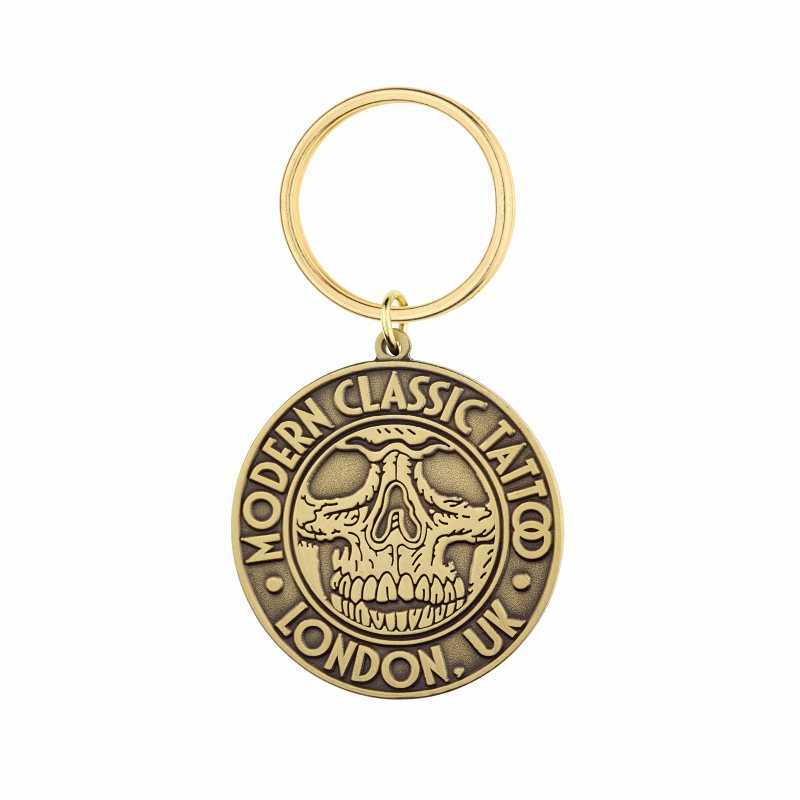 Die Struck keyrings are simply enamel keyrings without the enamel. 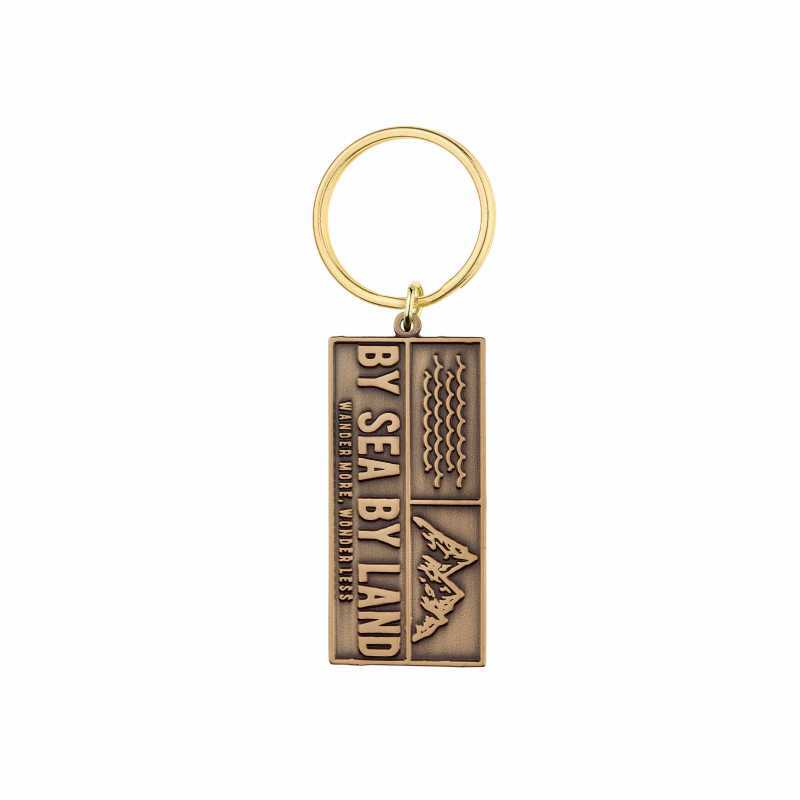 They are stamped and can be finished with special metallic effects and coatings. 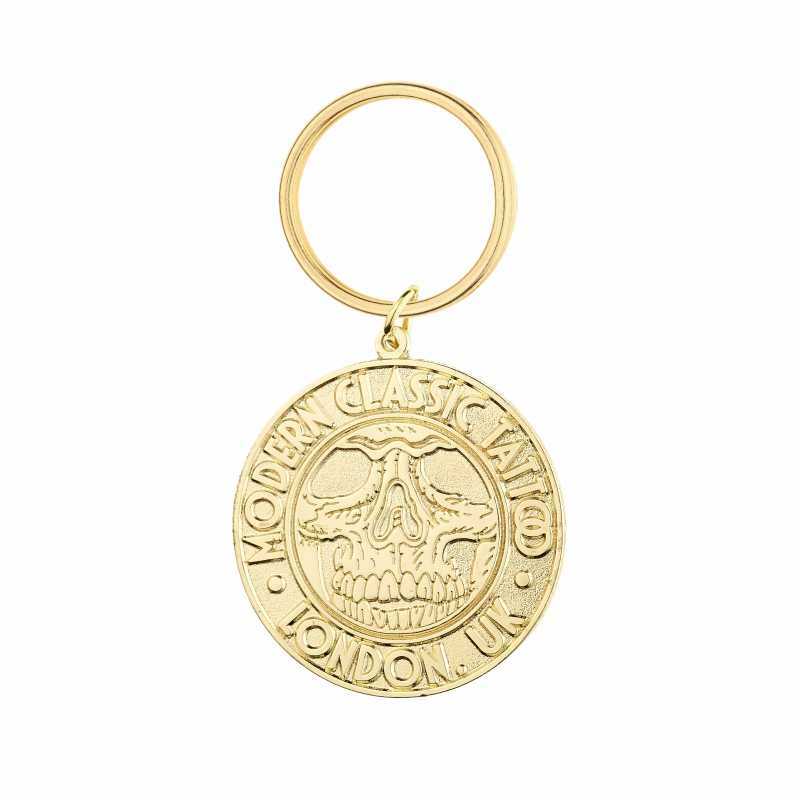 Effects include sandblasting, antiquing & two tone gold & silver. Coins are made in the same way.